For anyone thinking of starting a new business, determining how much capital will be required is the most critical piece of information they will need. Besides the initial investment for land, building, furniture, fixtures, and equipment, the new business owner needs to purchase inventory and supplies and a host of other essentials just to get the door open. Having sufficient capital just to get open is usually not sufficient. Business owners also need working capital to keep the business up and running until it begins to support itself. Even if the only benefit gained from joining a franchise system was the information needed to project how much your total investment was going to be, paying the initial franchise fee would be worth it! Without the knowledge that comes from a mature franchisor, small business owners need to do all their own research on equipment suppliers, work with architects and décor designers, determine site requirements, locate vendors, and on and on. 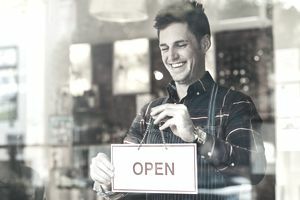 Without a base of reference and advice from someone who has gone through the process before, locating all the resources needed to open a business takes a lot of time — and for new business owners, time is a very expensive commodity. The existing franchisees in the system. Franchisees that have recently developed new locations can provide real-time estimates of what is required. Even with information provided by the franchisor, smart new franchisees will talk to other franchisees to confirm what the franchisor has estimated. Item 7 in the franchisor’s FDD. Every franchisor is required to prepare and deliver to prospective franchisees a copy of their disclosure document — the Franchise Disclosure Document. Within the FDD the franchisor is required to provide an estimate of the initial investment each franchisee will require, including the working capital they will need during the early months of operation. The cost of finding the location: Even if the landlord pays the real estate agent’s commission, you will probably incur the cost of market research market including demographics, traffic studies, and your competition. Security deposits: Expect everyone to look for you to give them a security deposit — the landlord and the utilities will probably be the first to ask. Professional fees: Building or even remodeling an existing location requires architectural plans. On top of architectural fees, plan on spending money on engineers as well. If the site is not zoned for your type of business, lawyers and other professionals may be required to help you with the zoning board. Getting the site ready: There will be costs for finding the contractor, building and equipping the location, acquiring signage, furniture, and décor packages, and landscaping the exterior. Everything you put into the site will probably come by truck, so plan on freight costs and sales tax as well. Opening Inventory and Supplies: Raw materials, paper supplies, cleaning supplies, smallwares, and everything you will need to prepare your products or services. Insurance: Not just property and casualty insurance, but worker’s compensation and, if you have a vehicle, auto insurance as well. Plan on your insurance broker asking for all or part of your first year’s premium as a deposit, in advance. Point of Sales and Computer Hardware and Software: Every business today, no matter how small, is going to require a certain amount of computer power. If you can’t find software that’s right for your business, plan on professional fees to develop customer software for you. Other Professional Fees: In addition to your architectural and engineering fees, you will likely need a lawyer and accountant to help you establish your business, negotiate with the landlord and zoning board, etc. Pre-Opening Labor: Labor costs don’t start the day the first customer walks through the door; you’ll need to hire and train managers and staff before the business opens to help you set up the business and to attend any required training classes. Working Capital: Working capital is the amount of money you need on hand to pay bills to the extent that they are not covered by the cash that comes in. Depending on your business, you may need working capital to get you through the first few weeks, but many businesses require additional capital well into the first two or three years. You can hope for the best, but make sure to plan for the worst. Make your plans based upon realistic expectations — not pie-in-the-sky wishes. While the franchisor will project your opening capital requirements in their FDD, these are usually based on system averages. Your location will likely be different in many ways from the average: it may be a larger site in a more expensive area, or possibly your labor costs or sales will differ from the system average. Smart franchisees investigate the costs in their area and modify the franchisor's projections based upon the reality of their markets. Don’t blame the franchisor if you don’t do your homework before you sign the franchise agreement. Starting a new business is a stressful time — but if you plan well, it can also be incredibly exciting and rewarding!